As millions of Brits start jetting off on their holidays, others will be travelling overseas for a very different reason this summer, as medical tourism skyrockets. 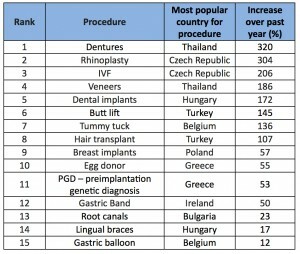 Overseas procedures have more than doubled (109%) in the past 2 years alone, according to new research by private healthcare search engine WhatClinic.com. Thailand has proven a hotspot for dentures, with demand soaring by 320% in the past year. On average a full set of dentures costs £184 in Bangkok, which is £256 cheaper than in the UK. In Poland, the cost is an average £215, which more than covers flights. Caelen King, CEO of WhatClinic.com, comments: ‘The biggest draw of medical and cosmetic tourism is price, as Brits going abroad can look to make considerable savings even after the travel costs. You may even be able to tie it in with a holiday for less than the cost of the procedure in the UK. ‘But with any procedure, wherever it’s done, make sure you do your research and shop around. Speak to a number of specialists until you find one that you are comfortable with. If you do decide to go overseas, be realistic about recovery time and getting home. Eastern Europe boasts the largest number of hubs for cosmetic tourism, as short flights and cheap fares prove popular with patients. The Czech Republic has seen a 304% increase in enquiries for nose jobs in the past year, with an average procedure costing £847, versus £3557 in the UK. The operation, which separates the nasal skin and soft tissue from the nasal framework, allows the nose to be reshaped. Those looking for breast implants are heading east to Poland. Enquiries there have risen by 57% in the past year. With flights taking just over 2 hours and costing as little as £42 return from London to Warsaw1, patients can look to still make considerable savings by paying £1972 in Poland, instead of £3736 in Britain. 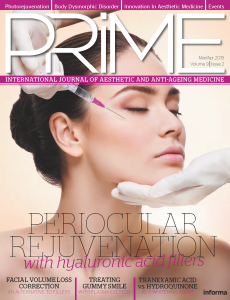 Hungary is quickly becoming a renowned hot spot for cosmetic dentistry and a preferred choice for those who don’t fancy flying to the other side of the world in search of the perfect smile. 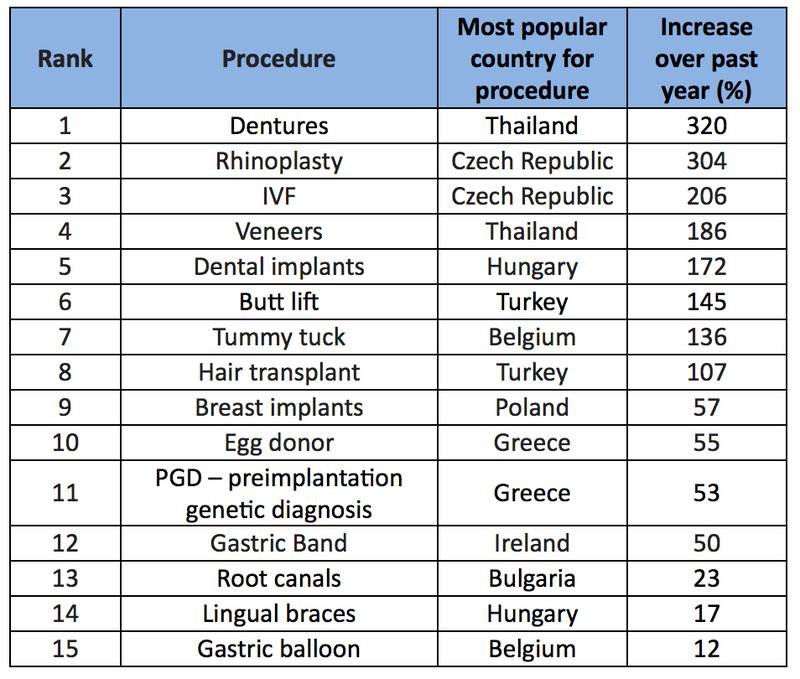 Hungary has seen a 172% increase in demand for dental implants, while lingual braces are up by almost a fifth (17%) in the past year alone. With flight times to Budapest of just 2 hours and 20 minutes and costing as little as £612, it is easy to see why more Brits are heading there for their dental work when you consider the huge savings to be made. Dental implants in the UK will set you back £1928 but in Hungary the same procedure costs a quarter of the price (£500). 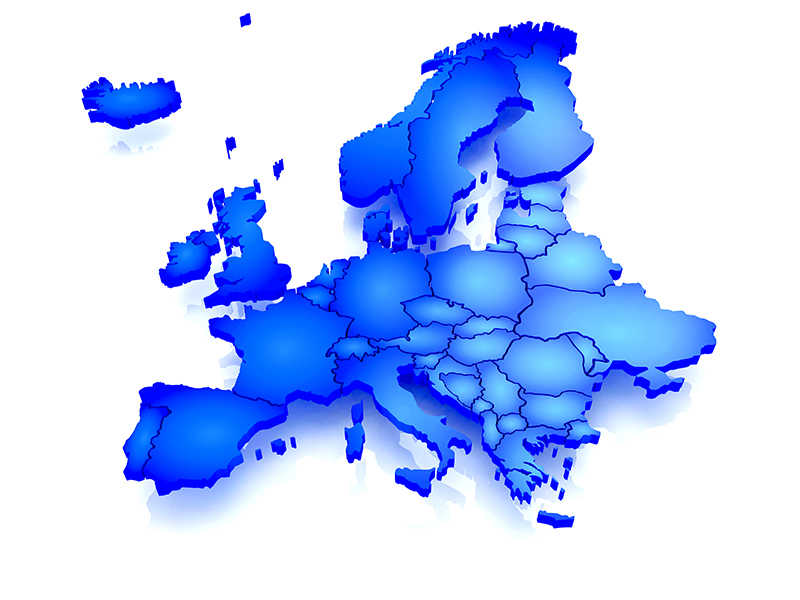 Huge costs attached to in vitro fertilisation (IVF) have also led to serious growth in fertility hubs around Europe. In the Czech Republic, one treatment will cost £791 but in the UK it costs £2420. Greece offers egg donation and preimplantation genetic diagnosis (PGD) at a considerable saving compared to the UK, patients can save between £700 and £900 per treatment.